Store speed is very important for both conversions and search engine optimization. Amazon estimates that every 100ms in store slowness results in a 1% drop in profits. Even worse than this, Google ranks sites in its search engine results according to speed. The slower a store the fewer rankings it will have which means less opportunity to generate revenue and convert visitors to buyers. For this reason the hosting plans at Aspiration Hosting are optimized for blazing fast speed. Unfortunately, due to the architect of Magento, speed is not always enough. That is why we have partnered with Extendware, a leading provider of enterprise Magento extensions, in order to provide a Free Magento Full Page Cache to users of our select hosting plans. We provide our customers a best-in-class Magento Page Cache. What is a page cache? It is a piece of software that will save the results of your pages and re-output the those results to other users. As a result, pages can be generated much faster and your store will perform better. 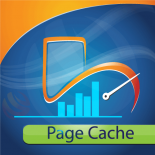 The page cache we provide is extremely configurable and is plug-in-play for most stores. For larger stores, there is an option to upgrade the page cache with even more features though most stores will find the default features good enough. Improve First Byte Time – First byte time usually improves 5-10x with a page cache. First Byte Times of 0.1ms to 0.3ms are common. Reduce Database Load – The primary cache does not even use a database connection. This means there is less load on the database, which is Magento’s primary bottleneck. This will also free up resources for non-cached pages, such as your admin pages. Search Engine Boost – Google and other search engines rank sites according to speed. Improving the speed of your store can also improve its search engine rankings. The generation speed (First Byte Time) of a store is the most important factor. Improve Customer Experience – Customers get frustrated easily when a store is slow and will browser fewer products or even leave the store completely. A fast store will ensure customers don’t get frustrated due to site responsiveness. The way a page cache works is quite simple: A customer visits some page such as your home page and the cache will cache the entire home page so that when another visitor visits the same pages it can be loaded from cache. This of course means that someone must first visit the home page before the fast version will be shown. 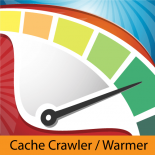 As a result, if you have many pages and low traffic you will want a Cache Crawler to visit pages and ensure they are in the cache before customers visit the page. many unique features such as the ability to crawl as a logged in user, ability to crawl deeply into your catalog, and it can even crawl your search results. When you use a page cache the percent of visits that use the cache versus those that do not is important. The Cache Crawler will increase this percentage. A page cache helps improve the First Byte Time or generation time of your primary page. This is one of the best ways to improve the speed of your site and its page speed for search engine rankings. In a later blog post we will discuss ways to improve the download time. The download time + generation is what constitutes your stores load time which is how fast your store feels to your customers, so improving both will give the best results.